West Africa has contributed its share of producing some of the most renowned leaders in contemporary African history. Kwame N’Krumah was revered by many West Africans as a prophet because of his bold vision for his country and the entire continent. Thomas Sankara was considered one of the most pragmatic and ethical leader in West Africa and ahead of his time in trying to address gender inequality corruption, environmental issues, youth engagement and self-reliance in Burkina Faso. In contemporary West Africa, the aforementioned leaders remain reference points for lessons in political leadership. 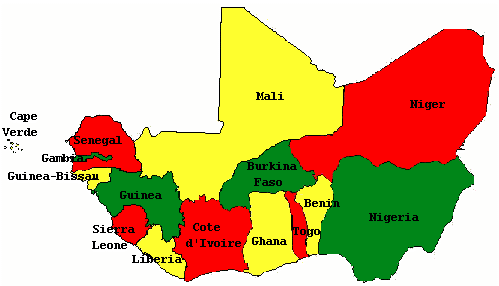 However, West African is arguably among the most tumultuous and most prone to political instability across the world. The region has experienced devastating violent conflicts, and socio-economic crises, all of which have destroyed lives and thwarted development efforts. West Africa continues to grapple with political disputes and other emerging threats including violent extremism and public heath emergencies such as the outbreak of the Ebola Virus Disease (EVD) that claimed over ten thousand lives and caused significant economic loss. In the face of these challenges and growing threats, building a leadership culture in West Africa that involves youth, women and focuses on strengthening the institutional capacity of organizations (governmental and non-governmental) is paramount. It is only a critical mass of ethical, principled, innovative, entrepreneurial and democratic leaders that can help address the security, development and governance challenges in West Africa.